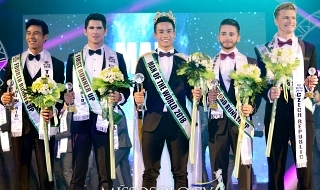 Does anyone know when will the intros of the Miss World 2018 contestants be featured on the pageant's YT channel? It's already November, and I haven't seen their channel updated yet with new videos. It’s weird. Up to now MWO hasn’t posted the trailer. MW trailer is always good. Hi, Miss World will not be unloading them. Reason being, they are for the HEAD TO HEAD challenge. Once people already have seen the video intros, they skip to the contestants' speaking. 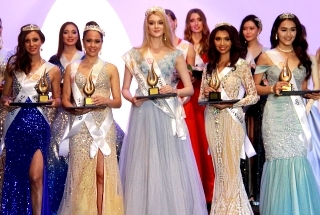 Miss World organisation does have a new strategy this year. It will make the H2H challenges more excited! the other groups are on Youtube. 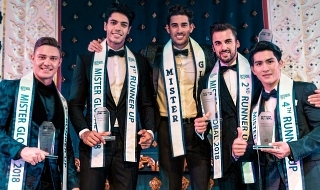 Miss World saw success in the Oxford University and Cambridge University debates in the past so ever since they wanted to have a debate competition. It is still in its developing stage as MW doesn't want to be associated with pageantry. chellomellow wrote: Hi, Miss World will not be unloading them. Reason being, they are for the HEAD TO HEAD challenge. Once people already have seen the video intros, they skip to the contestants' speaking. Miss World organisation does have a new strategy this year. It will make the H2H challenges more excited! LAST YEAR I HAD SKIPPED THROUGH THE INTRO VIDEOS OF THE HEAD 2 HEAD CHALLENGE AS I HAD SEEN MOST OF THEM BEFORE. I HOPE TO SEE MAJOR IMPROVEMENTS WITH THE HEAD 2 HEAD CHALLENGES AND THE TIMING. LAST YEAR THE LAST GROUPS WERE RUSHEDED AND THE GIRLS IN THOSE GROUPS DIDN'T GET AS MUCH EXPOSURE AND VOTING TIME AS THE ONES IN THE EARLIER GROUPS. Glad to see MW keeps on showing Catriona in their media presentation videos. A precious gem they let slip off their hands. the critic wrote: LAST YEAR I HAD SKIPPED THROUGH THE INTRO VIDEOS OF THE HEAD 2 HEAD CHALLENGE AS I HAD SEEN MOST OF THEM BEFORE. Totally agree. MWO should film the H2H challenges earlier so that each and every group will get enough time for voting. Stoichio wrote: Glad to see MW keeps on showing Catriona in their media presentation videos. thats simple it might be to add salt to your pestering wound. They show stephy in front as a queen and Cat working as if she is an NGO sweeper in the background. it might be for the entitled pinoys to feel hurt again and learn some manners. the other Kat u send to there might also have the same result. Learn to respect the queen. or she will teach you how to do it.